Note: Please check the output voltage and current of your USB enabled devices such as Laptop, PC etc, before connecting your input devices such as Cellphones, MP3, MP4, Digital cameras etc for the purpose of charging or data transferring. Less or more than the required flow of current can damage your input devices. This information is solely for the awareness purpose of the customers. 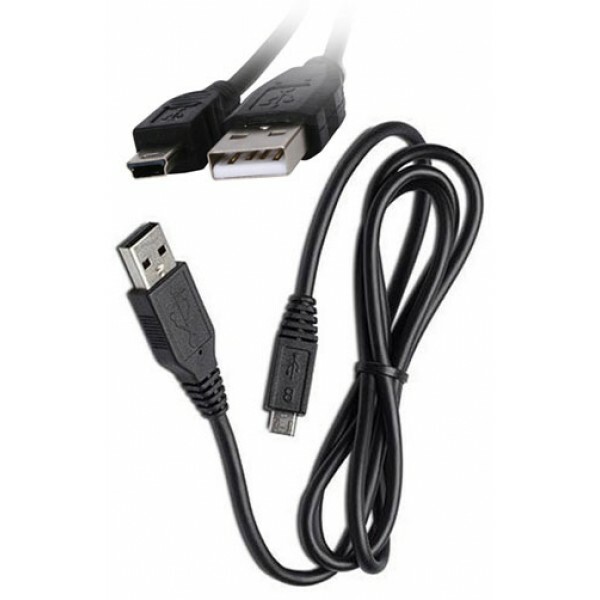 Introduction: Standard USB A male to USB mini 5Pin Male cable. It works with all USB devices which have a Mini 5P plug such as: USB Card Reader, USB caddy, MP3, MP4, PSP, PS3, Digital Camera, USB HUB and so on. It is compliant with USB2.0 standard and backward compliant with USB1.1 standard. It supports High speed data rate up to 480Mbps and full speed data rate 12Mbps. It has a portable design and is easy to install. It supports plug & play and Hi-Speed USB 2.0 Standard cable, and is 40 times faster than USB 1.1. 0.5 M USB 2.0 A male to Mini 5Pin B Cable.